The commander of a Minneapolis police precinct has been replaced following the uproar over Christmas tree decorations that the mayor said amounted to a "racist display." 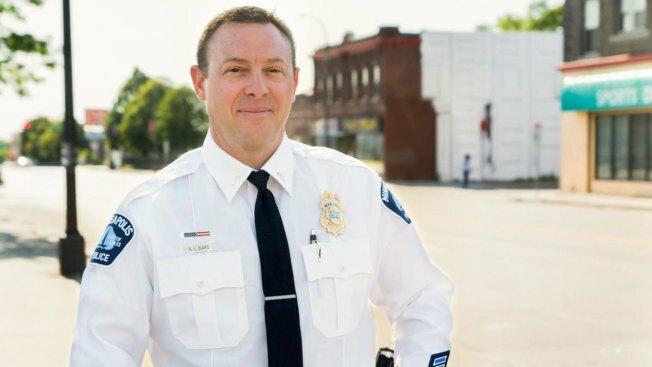 Minneapolis Police spokesman John Elder confirmed Monday that inspector Aaron Biard had been removed as commander of the Fourth Precinct on the city's north side. Police Chief Medaria Arradondo said in a statement that Assistant Chief Mike Kjos will be responsible for the precinct's day-to-day operations until a replacement is found. Kjos previously served as the precinct's commander, the Star Tribune reported. Two Minneapolis officers were placed on paid leave Friday for their apparent involvement in the decorations. The Christmas tree at the precinct station was decorated with items such as Newport cigarettes, police crime tape, a can of malt liquor and a Popeyes Louisiana Kitchen cup. Mayor Jacob Frey called the behavior "racist, despicable, and is well beneath the standards of any person who serves the city of Minneapolis." A picture of the tree circulated online before the items were removed. Frey initially called for the officer involved to be fired by day's end, but later recognized that a process has to be followed. Instead, the two officers were placed on paid leave while the department investigates. That investigation continues, Elder said Monday. In a statement Monday, Frey said he supports the chief's decision to remove the precinct's commander and said "it reflects his resolve to make meaningful change." Arradondo has called the display "racially insensitive" and said it was removed. "I am ashamed and appalled by the behavior of those who would feel comfortable to act in such a manner that goes against our core department values of trust, accountability and professional service," Arradondo said in an earlier statement. A message left for Biard at the precinct was not immediately returned Monday. The tree is in the police station on the city's North Side, which has a fractured relationship with police. The precinct was the site of more than two weeks of protests after the 2015 fatal police shooting of Jamar Clark, a black man. The Twin Cities Coalition 4 Justice 4 Jamar, a group formed after Clark's shooting, has called for the immediate termination of those involved.